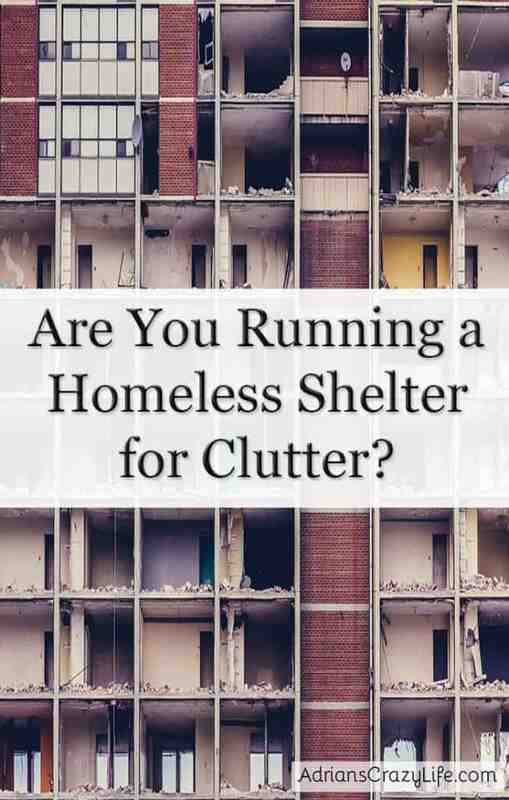 Are You Running a Homeless Shelter for Clutter? 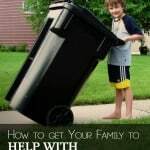 Home » Organizing Tips » Are You Running a Homeless Shelter for Clutter? Remember Mom and that old saying – A place for every thing and every thing in it’s place… That is definitely a saying from a bygone era, but it was darn good advice! Part of the problem of clutter is about items that aren’t getting put away in it’s proper place, but with a lot of stuff, it doesn’t have a proper place to begin with, so it just drifts around your house aimlessly and it seems to attract more clutter to itself. And before you know it, you have piles of loose stuff covering every visible surface. Take a minute to mentally look around your house and see how many “homeless” items you have taking up space around your house. 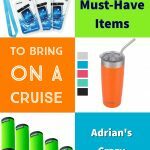 These can be items that have an established home, but are “vacationing” in another area. Or truly homeless items that don’t have a home to begin with. How many of these freeloaders are you willing to put up with? Keep in mind that these items are taking up space that is needed for legitimate items, and also clean, open space that is needed for your sanity. And after all, how much is THAT worth? These items really just represent the postponed decisions in your life. You don’t necessarily want them, but you haven’t made the time to really sit down and take the time to evaluate them and take the steps necessary to either find them a permanent home, or send them on their way. It doesn’t have to be a big chunk of time. Even five minutes is enough time to go through a shelf, or a drawer, or a pile of papers sitting in a corner. You can spare five minutes can’t you? Shoot, that’s one round of commercials during a TV program. And after a few five minute sessions here and there, things will start looking a whole lot better! I read a great quote this week “When you clear the clutter out of your life, the stuff you really want has room to show up”. Think about it. When you clear all the excess clutter in your schedule, you have time to do the fun stuff with your friends and family. 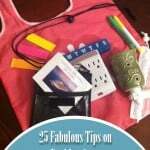 When you clear the excess “clutter” from your body, you have room for new, pretty clothes and a more fun and active lifestyle, not to mention a few extra years of time on this earth. 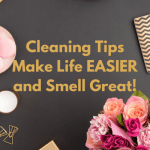 And when you clear the excess clutter out of your home, you are not only freeing up the physical space; you are freeing up your time from cleaning as much. You are also freeing up more space that makes it easier to store and use the items you want to have and enjoy using. Most importantly you also free up your spirit from the stress and guilt of all that clutter. And honestly, what is it about all those “things” that could possibly be worth that much hassle? 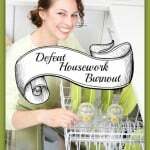 I have done countless decluttering missions in my house over the years. Everything from clothes, to toys, books, movies, and papers. I’ve sent SO MANY boxes of “stuff” to charity and you know what? If my life depended on it, I couldn’t tell you 5 things that I’ve gotten rid of. Honest! 38 Comments on Are You Running a Homeless Shelter for Clutter? What a great analogy – vacationing freeloaders. Vacation without paying – UGH!!! And YES. Clutter stresses me out. I can’t think, can’t work, productivity is low. I just told hubs yesterday, “We are cleaning out this kitchen and getting rid of at least half the stuff we never use.” He started by throwing the coffee pot away. And I was cool with that – we haven’t used it in a year – ever since we got the Keurig. We are a generation of STUFF!!! I’m going to take a few minutes each day this week, just like you said. Thanks for sharing today on SITS Girls Sharefest! I just discovered you today, love your site! Thanks so much! I’m pleased you enjoyed my work. I’ve been busy doing a bit of decluttering myself. I’m clearing out my linen closet so I can rid myself of a storage unit that isn’t working. I’ve cleared out three boxes of clutter in just one day and I’ve got lots more to go. I love this post. Living with 3 sons and a husband, we have a lot of homeless items and vacationers. It reminds me of Happy Madison, an Adam Sandler movie where he’s a golfer and he tells the ball inches from the hole he keeps missing “Don’t you want to go home? Why don’t you want to go home?” That’s what I feel like telling my clutter. Stopping by from SITS Blogging. Congrats on the feature! Oh Lord – you’re just like me. The one voice of reason in the testosterone ocean! I also have three sons and a husband and not a one of them can “see” clutter. It’s literally like it’s invisible to them. I think it’s just a guy thing. Thanks on the feature! I was so thrilled! Great analogy, I love the “Vacationing” part. It is so true. Yes, I have more than a few “vacationers” around my house. Time to herd them back into their proper places. That sounds so much better than “cleaning up” doesn’t it? This is such a perfect analogy – I love it! And I’m glad you mentioned that you don’t remember what you got rid of. I think the statistic I’ve heard quoted is that we regret decisions to let go of things about 1/2 of 1% of the time. I’m SO going to use that statistic! I love that 99.5% of the time I am throwing out stuff I will NEVER miss. I think I should put that in big letters on the side of my box I use to declutter. And the .5% of the stuff you WILL miss, you can easily replace. Wow, that one is going to stick in my mind. It may even end up as it’s own post! Thanks for this. I never did get a good spring purge done in my house. We had a turnover in our rental that was a major overhaul, and it just completely wore me out! It was nice to be reminded that it’s worth it to go ahead and get on it. Love this: “These items really just represent the postponed decisions in your life.” Oh, how true this is in many areas of my life lately. Thank you for wording it just exactly right for me. Happy Sharefest! I hope you have a fabulous weekend. Thanks Miss Robin. I so appreciate you stopping by and I’m glad you got something out of this post! I think that’s exactly true. As I’ve gotten older, I’ve realized that it’s just STUFF and my life is easier with LESS of it. Thanks for stopping by! That is pretty tough. I am working on an E-book right now and I have a section for houses that are too small or too large, but I didn’t think to include something about not having any closets. That would be quite a handicap. Thanks for stopping by! I had to come read this post just because of the title! I thought you had looked in my windows! I especially like this quote: “When you clear the clutter out of your life, the stuff you really want has room to show up.” That’s great! Another one I’ve read is something about clutter being the result of “for-now-itis.” As in, “I’ll just put this here FOR NOW.” But since that “for now” place is NOT its actual home, well…we all know what happens! It invites its friends and a new pile of clutter develops! That is so true! I love what you’re saying about it inviting it’s friends over. I start with ONE pair of shoes somewhere and the next time I turn around, there are like FOUR of them hanging out there! And just for-now-itis. I may have to borrow that one for an upcoming post. My house sure seems like a homeless shelter with all the clutter. 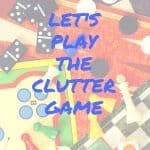 My husband loves clutter and it drives me crazy. Love all your information though, I’m going to start making some changes! I hate clutter too. Oh man, I can just hear my mother saying “A place for everything…” and now I am the same way with my kids! It works! If you had a Mom like that, you are far ahead of the game already. My Mom was more of the “did you see what I did with….” or “I know I’ve got one of those somewhere” types. So I am fighting my raising to some degree. I think it’s especially good for kids to not have an overly cluttered home – it has more of an effect on them than we know. I’m a prime example of that…. That’s so smart! Repurposing clutter is a great way to get some use out of things without constantly throwing things out. I need to do a better job in that area. 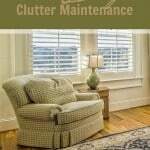 You are probably far from a hoarder, but I think every woman needs a little clutter-free oasis in her house where she can just sit and relax. The problem is always about where to start. I’m like Silvia Stout refusing to take the garbage out. That is so true. I struggle with the same thing. Sometimes I’m my own worst enemy when it comes to sticking to any kind of change. But I do know that you feel so much better when you can get some visible progress in any area, even if it’s just a drawer or a pantry, or a countertop. This weekend I had some time for the first time in WEEKS and it felt so good to get my kitchen all cleaned up, even down to reorganizing the pantry so we could see stuff. Babysteps are usually the best way to start. 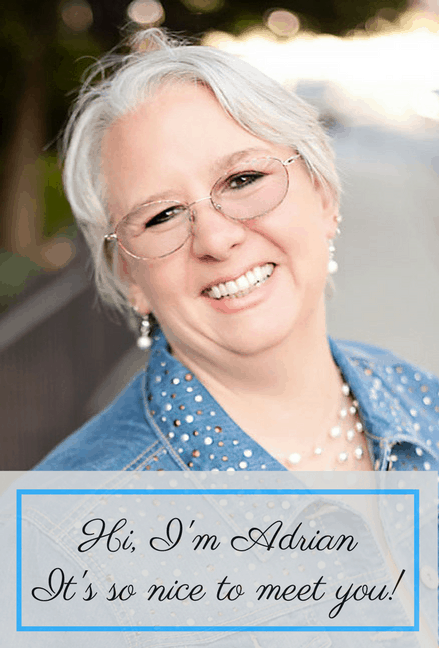 Adrian, I hate clutter and my husband is a clutter-bug of unimaginable levels. Your article resonates with me since I’m constantly battling little pieces of paper, receipts and anything else that he drops along his path. I sent him this link so I hope he reads it. Oh man I am totally doing this! I feel like I have to keep every drawing and every toy, every piece of clothing from my boys. I definitely need to de-clutter! I know. It’s so hard to let go of some things. Hey, I saw a super cute idea at a party last week. Take a few really cute drawings and laminate them to turn into placemats. It’s fun for them to see when they are older. My kids are grown now and I wish I’d saved a LITTLE more, but not much more. I’m more about the pictures. Boy, oh boy, this was a sorely needed reminder for my daily life. How uplifting to think of all the wonderful things that can come to you if you just clear out the way for them! So happy to be visiting you from SITS Sharefest! Yes! this is SO my life right now. The past two weeks I have been cleaning, de-cluttering, and organizing. It started with the kitchen and has spread to my office/craft space. Almost done with my work space, and hoping to knock out the kitchen this week! So funny how much stress a clean organized space alleviates. Which is funny, because in my case, stress is what caused it to get out of control in the first place. Thanks for such a great post! This post is so real! 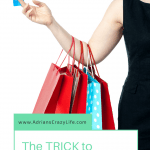 I can’t stand clutter…and I’m a freak at decluttering. It’s a constant thing for me. I just have to do it every week or sometimes every day. I need to work on this!! I have lots of freeloaders! Decluttering is my main goal for this weekend. We have lots of different company coming on Monday and lots of cleaning to get done before then. Clutter is one of my biggest problems. I just need to THROW IT AWAY!!! I hate clutter. HATE IT. Unfortunately my husband is rather a clutterer. Sigh. Oh goodness, you are definitely talking to me! I need some decluttering time!